Hello Cancer! Here's your Weekly Horoscope for January 31 to February 6. Learn about key events that will affect love, money, career, and your destiny this week for all Cancer this week. Lie low from the first to the third as love planet Venus causes chaos in your love life. Misunderstandings are more than likely but don't even try to correct anything until the end of the week when the planets stop causing so much tension. 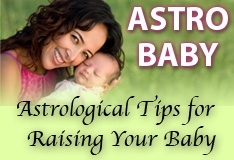 Venus brings news of an addition to your family on the 4th. Vengeance is yours on the 5th when the moon in Aries brings news that an evil doer finally receives their just desserts!